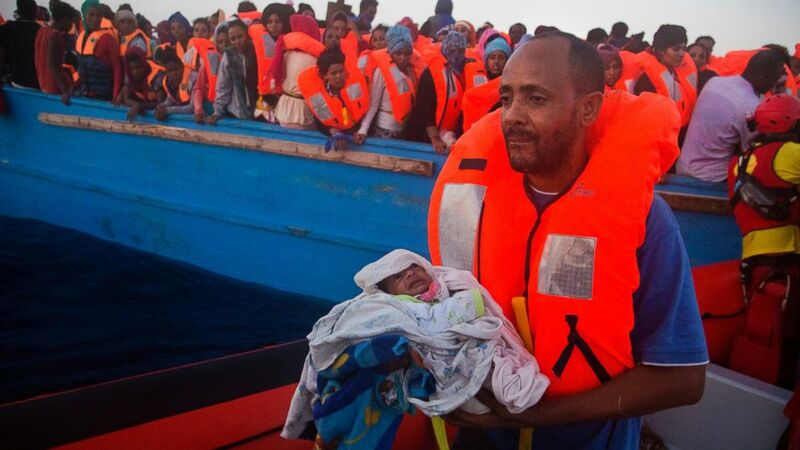 Most of those rescued from overcrowded wooden boats were from Eritrea. Thousands of refugees trying to reach Europe were rescued off the coast of Libya on Monday morning after their overcrowded wooden boats sent people falling into the Mediterranean Sea. 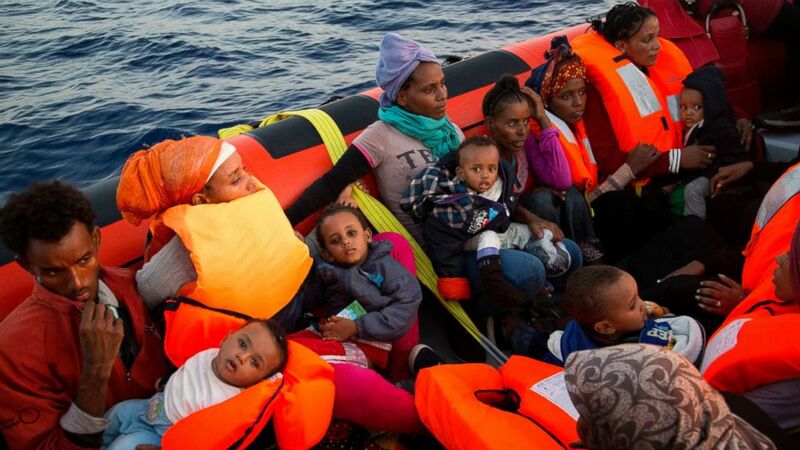 The refugees, many of them from Eritrea, jumped into the water from more than 20 boats roughly 13 miles north of Sabratha, a coastal city in Libya. They were helped by the Italian Coast Guard and workers for a non-governmental organization. 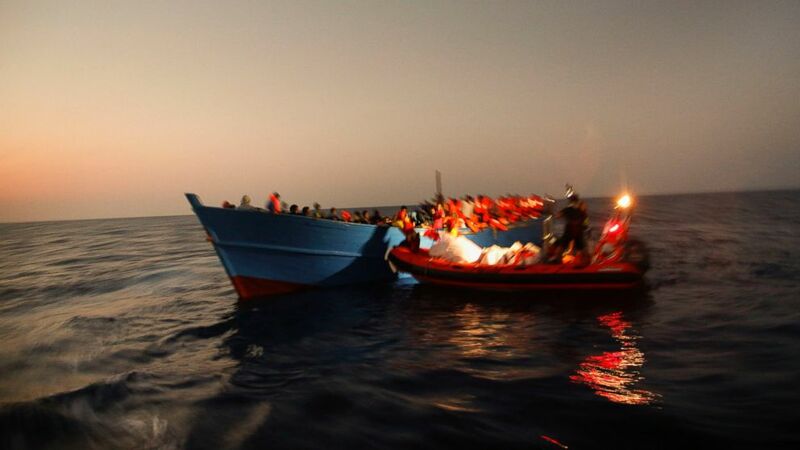 Images show people struggling to swim in the water and groups clustered together in the rescue vessels. (Emilio Morenatti/AP Photo) Migrants sailing in a crowded wooden boat carrying more than seven hundred migrants, are helped by members of an NGO during a rescue operation at the Mediterranean sea, about 13 miles north of Sabratha, Libya, Aug. 29, 2016. Large numbers of small children who apparently braved the perilous journey along with their families can be seen seated on the laps of adults. 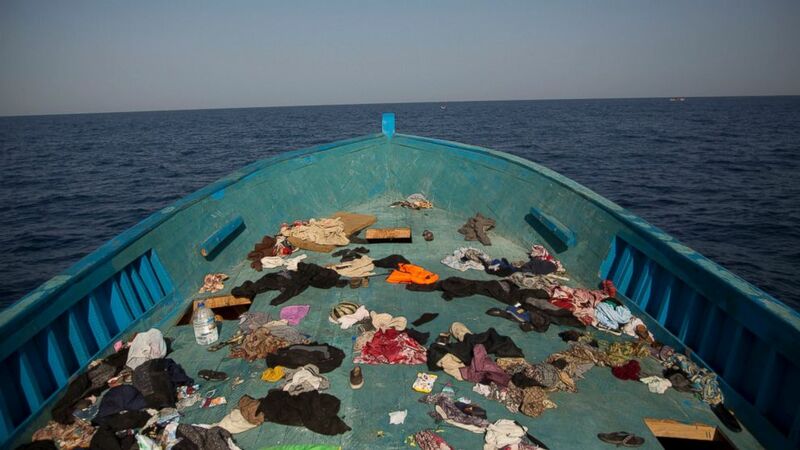 In one image, clusters of personal belongings are shown scattered around the deck of an abandoned ship. Imagery of refugees crossing the Mediterranean Sea has become iconic in recent years, as hundreds of thousands seek safety or employment by journeying to Europe from the shores of Morocco, Algeria, Libya, Egypt, and Turkey. 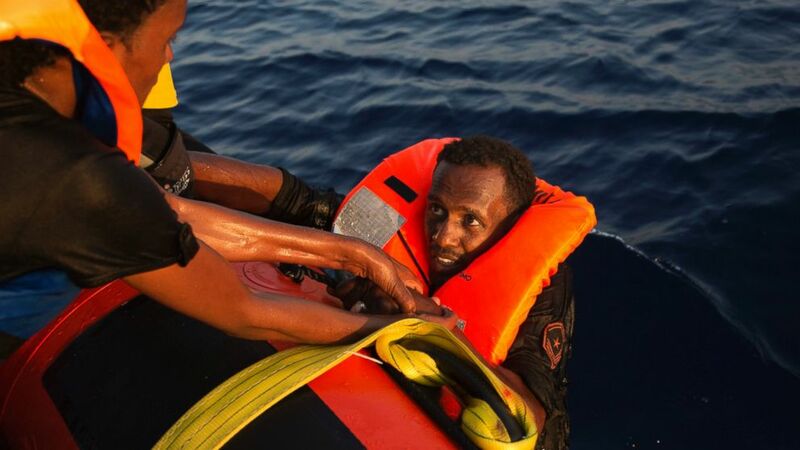 (Emilio Morenatti/AP Photo) A migrant from Eritrea is helped after jumping into the water from a crowded wooden boat during a rescue operation in the Mediterranean sea, Aug. 29, 2016. The UN reports that 271,218 of people arrived by sea this year, and that 3,167 who attempted such a trip are either missing or dead. Although much attention has focused on refugees from war-torn Syria, many refugees are also from Eritrea. (Emilio Morenatti/AP Photo) A man carries his five-day-old son after been rescued from a crowded wooden vessel as they were fleeing Libya during a rescue operation in the Mediterranean sea, Aug. 29, 2016. Hundreds of thousands have fled Eritrea, located on the horn of Africa and bordering Sudan, due to the country's violent, repressive government and limited opportunity for many citizens, according to rights organizations. (Emilio Morenatti/AP Photo) Migrants from Eritrea hold their children after been rescued from a crowded wooden boat as they were fleeing Libya, about 13 miles north of Sabratha, Libya, Aug. 29, 2016. "Eritrea’s dismal human rights situation, exacerbated by indefinite military conscription, has led thousands of Eritreans to flee every month," according to Human Rights Watch. (Emilio Morenatti/AP Photo) Belongings left behind by migrants are seen in the floor of a wooden boat where more than seven hundred migrants were fleeing Libya, during a rescue operation in the Mediterranean sea, about 13 miles north of Sabratha, Libya, Aug. 29, 2016. The group cites forced labor, arbitrary arrests, detentions, torture, restrictions on freedoms of expression and movement, and repression of religious freedom as being among the incentives Eritreans have to flee their country.